Looking for ways to try to take advantage of the Natural Gas export boom (the US-r.o.w. arbitrage), I came across PAA. It's a Master Limited Partnership that seems to have the right mix of carbons and focus on LNG or NGL. The combo of the three groups provides for a very nice growth in operating income. An income more then capable of handling spike in investor distribution. The income distribution has been consistently rising for a few years, but not as quickly as income. In the mean time, the daily chart is not so enticing. 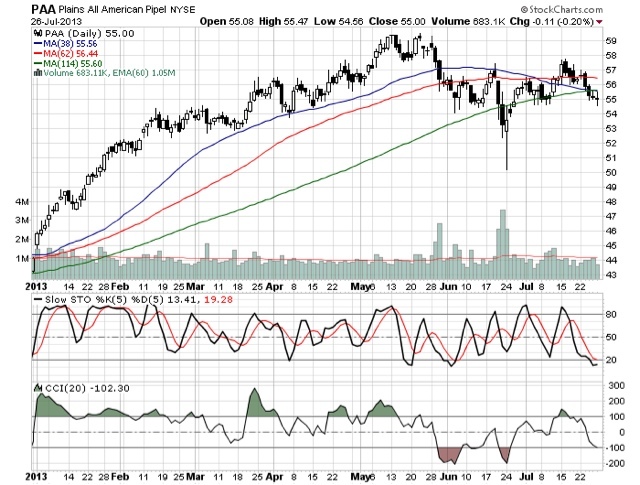 But PAA looks to be oversold. 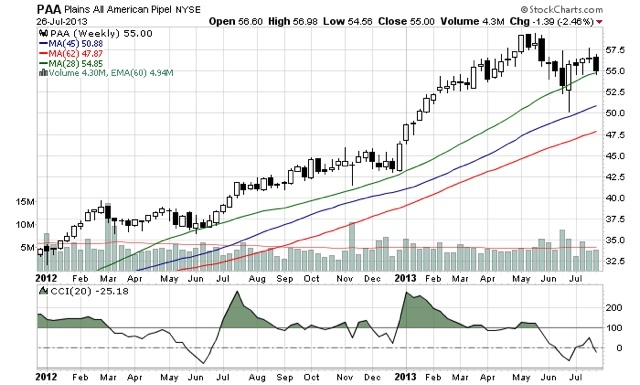 I like PAA, and current levels merit an initial position. 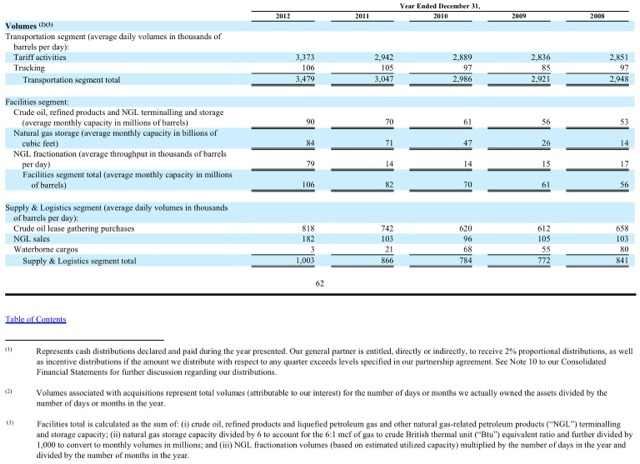 But the wild card with respect to future income is their risk management, and buying/selling/hedging crude and NGL for their Supply&Logistic function. If they can maintain their consistency, great. The stock should continue to perform well. If they get arrogant and jpm-London-whale-crazy, it will affect their bottom line and potentially the yield.